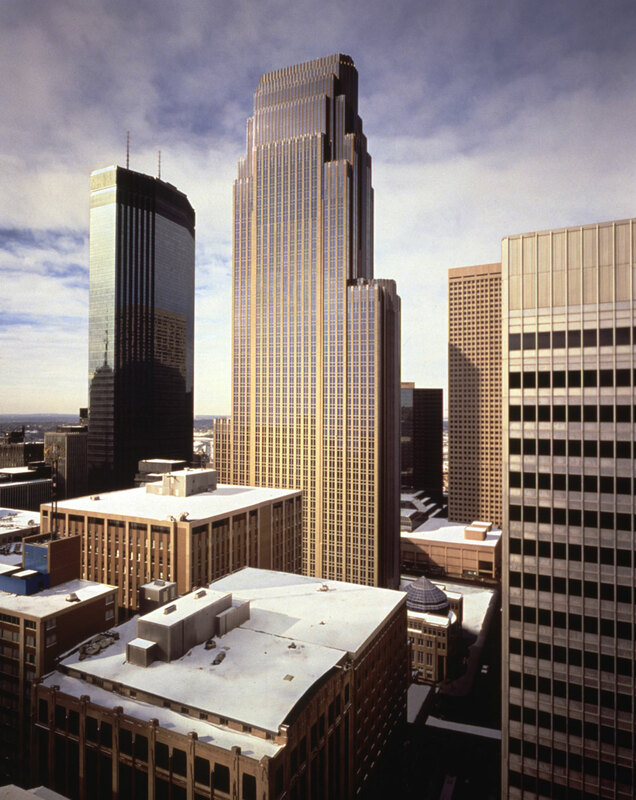 The elegant 57-story Wells Fargo Center, designed by Cesar Pelli, contains a full-block indoor pedestrian promenade that houses a 100-foot-high ceiling rotunda on one side and a formal lobby on the other. 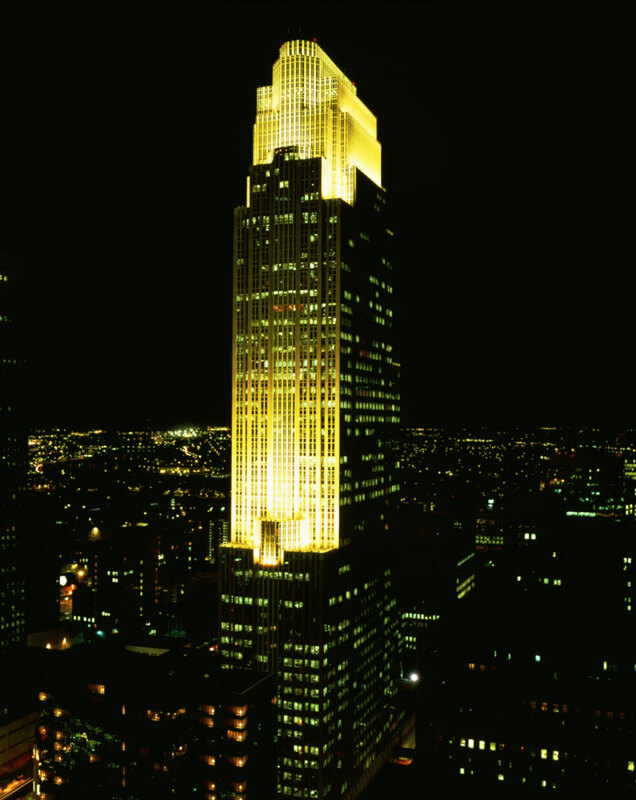 Upon its completion in 1987, the structure became a powerful new landmark property and redefined the Minneapolis skyline, creating a dramatic and glowing invitation to the heart of the central business district. Minnesota Chapter: Award of Excellence as "Downtown Building of the Year"